Insurgents defend a stronghold in the forested Water Kloof during the 8th Xhosa war of 1851. Xhosa, Kat River Khoi-khoi and some army deserters are depicted. The Xhosa Wars, also known as the Cape Frontier Wars, were a series of nine wars between the Xhosa people and European settlers, from 1779 to 1879, in what is now the Eastern Cape in South Africa. They are also known as "Africa's 100 Years War", with the different conflicts seen as a series of flare-ups in one long war of attrition - the longest in the history of colonialism in Africa. The wars saw the beginning of the use of firearms by the Xhosa armies. However they nonetheless saw the Xhosa lose most of their land, and their incorporation into the British Empire. While the wars are mostly seen as being a simple two-sided conflict between European and Xhosa, the reality with its shifting alliances was both fluid and complex. On the European side, relations between the British Empire and the Cape Colony's local settler government were sometimes strained and even broke down on occasion. On the Xhosa side, several groups that are now classed as being Xhosa, such as the Mfengu nation, actually fought on the side of the Cape Colony. The first settlers from Europe in the Cape were the Dutch. They established a small supply station at present day Cape Town for trading ships stopping on their way around the Cape on route to and from India. Over the years more and more Europeans arrived. They first settled in and around Cape Town and later spread out into the valleys further afield. As they moved further up the Eastern coast, the migrants from the Cape (predominantly Boers) encountered the Xhosa during the second half of the 18th century in the region of the Great Fish River. The Xhosa were established in the area and farmed cattle in particular. As more Cape migrants (and later settlers imported from Britain under plans to colonise the area in 1820) arrived, the population pressures and competition over land, cattle and good grazing became intense. This led to confrontations. The first war started as an armed clash between Boers and Xhosas apparently sparked by actions committed against the Xhosa by certain white frontiersmen. The second war, which was on a larger scale, started when some frontiersmen under Barend Lindeque decided to join Ndlambe, the regent of the Western Xhosas, in his war against the Gunukwebe clans who had penetrated into the district between the Great Fish and the Sundays rivers, known as the Zuurveld. Panic and desertion of farms followed. The third war started in January 1799 with a rebellion which was crushed by General T P Vandeleur. Some discontented Khoikhoi then revolted, joined with the Xhosa in the Zuurveld and started attacking white farms; the Xhosas to remain in the Zuurveld. In February 1803 an inconclusive peace was arranged. The fourth war (1811–1812) was the first war that featured professional British soldiers who could pursue the enemy with single-minded intensity, and in the fourth Xhosa War they drove the Xhosa back to the east of the Fish River. The Zuurveld had become a sort of empty buffer zone, with the Boers and British to the West and the Xhosa to the East. However leading into 1811, the Xhosa had moved in and taken control of this neutral ground, and there were various flashpoints of conflict with the colonists. In order to expel the Xhosa from the Zuurveld, Colonel John Graham took to the field with a mixed force in 1811 for a campaign in which the Governor of the Cape Colony, Lt-General John Cradock, said no more blood had been shed "than was necessary to impress on the minds of these savages a proper degree of terror and respect". The campaign ended with the Xhosa being driven beyond the Great Fish River. On the site of Colonel Graham's headquarters arose the town that bears his name, Graham's Town, which become Grahamstown. About four thousand British colonists arrived and were stationed on the Great Fish River. The fifth frontier war was also known as the "War of Nxele". A difficulty between the Cape Colony government and the Xhosa arose in 1817, the immediate cause of which was an attempt by the colonial authorities to enforce the restitution of some stolen cattle. Due in part to overcrowding, a civil war broke out between the Ngqika and the Gcaleka Xhosa. As the Cape had signed a defence treaty with Ngqika, it was legally required to respond to Ngqika's request for military assistance in 1818. The Xhosa prophet-chief Maqana Nxele (or Makana) emerged at this time and promised “to turn bullets into water.” He led the Xhosa armies in several attacks. On 22 April 1819, Maqana with 10,000 Xhosa attacked Grahamstown, then held by a garrison of 350 troops. The garrison was able to repulse the attack only after timely support was received from a Khoikhoi group led by Jan Boesak. Maqana suffered the loss of 1,000 soldiers. Maqana was eventually captured and imprisoned on Robben Island. This time, the British pushed the Xhosa even further east, beyond the Keiskama River. The land between the Fish and the Keiskamma rivers became a neutral buffer zone, which the British tried to populate with loyal Africans. The Albany district was established in 1820 and populated with some 5,000 Britons. The Grahamstown battle site is still known as Egazini, or Place of Blood, and a monument was erected here for fallen Xhosa soldiers. The Sixth Frontier War is known as "Hintsa's War" by the Xhosa. Hintsa did not instigate the war and, although he gave support to the Xhosa armies which were involved, it was Chief Maqoma who was the primary leader of the Xhosa forces. However of the whole war, Hintsa's murder at the hands of the British authorities became the main feature and point of anger in the memory of the Xhosa. On the Cape's eastern border (now the Keikamma River) insecurity persisted. Particularly as the Xhosa on the other side of the border were under considerable pressure from forces further east such as the effects of the expanding Zulu Empire. Although highly unstable, the frontier region was seeing increasing amounts of admixture, with Europeans, Khoikhoi and Xhosa living and trading throughout the frontier region. After previous conflicts, many Xhosa tribes had earlier been expelled from areas of the frontier, which had subsequently been settled by Khoikhoi and other Cape subjects. The Cape Government's policy towards the return of the Xhosa to these frontier regions was marked by much vacillation. Frustrated by their inability to return, many Xhosa resorted to cattle-raiding over the frontier. Local Cape responses to the Xhosa cattle raids varied, but in some cases were drastic and violent. On 11 December 1834, a Cape government commando party killed a chief of high rank, incensing the Xhosa: an army of 10,000 men, led by Maqoma, a brother of the chief who had been killed, swept across the frontier into the Cape Colony, pillaged and burned the homesteads and killed all who resisted. Among the worst sufferers was a colony of freed Khoikhoi who, in 1829, had been settled in the Kat River valley by the British authorities. Refugees from the farms and villages took to the safety of Grahamstown, where women and children found refuge in the church. The response was swift and multi-faceted. Boer commandos mobilised under Piet Retief and inflicted a defeat on the Xhosa in the Winterberg Mountains in the north. Burgher and Khoi commandos also mobilised, and British Imperial troops arrived via Algoa Bay. The British governor, Sir Benjamin d'Urban mustered the combined forces under Colonel Sir Harry Smith, who reached Grahamstown on 6 January 1835, six days after news of the uprising had reached Cape Town. It was from Grahamstown that the retaliatory campaign was launched and directed. The campaign inflicted a string of defeats on the Xhosa, such as at Trompetter's Drift on the Fish River, and most of the Xhosa chiefs surrendered. However, the two primary Xhosa leaders, Maqoma and Tyali, retreated to the fastnesses of the Amatola Mountains. British governor Sir Benjamin d'Urban believed that Hintsa ka Khawuta, Paramount-Chief of the Gcaleka Xhosa, commanded authority over all of the Xhosa tribes and therefore held him responsible for the initial attack on the Cape Colony, and for the looted cattle. D'Urban came to the frontier in December 1834, and led a large force across the Kei river to confront Hintsa at his residence and dictate terms to him. The terms dictated that all the country from the Cape's prior frontier, the Keiskamma River, as far as the Great Kei River was annexed as the British "Queen Adelaide Province", and its inhabitants declared British subjects. A site for the seat of province's government was selected and named King William’s Town. The new province was declared to be for the settlement of loyal tribes, rebel tribes who replaced their leadership, and the Fengu (known to the Europeans as the "Fingo people"), who had recently arrived fleeing from the Zulu armies and had been living under Xhosa subjection. Magistrates were appointed to administer the territory in the hope that they would gradually, with the help of missionaries, undermine tribal authority. Hostilities finally died down in 17 September 1836, after having continued for nine months. The murder of Chief Hintsa was an enduring atrocity in the memory of the Xhosa nation. Originally assured of his personal safety during the treaty negotiations, Hintsa rapidly found himself held hostage and pressured with massive demands for cattle "restitution". He attempted to escape at the Nqabarha River but was pursued, pulled off his horse and immobilized with shots through the back and the leg. Immediately, a soldier named George Southey (brother of colonial administrator Sir Richard Southey) came up behind him and shot him in the back of the head. His ears were cut off after his death and these actions shocked the British Government in London very severely, leading them to condemn and repudiate Governor D’Urban. Hintsa's murder was a cause of much bitter anger among the Xhosa for decades after. By the end of the war 7,000 people of all races were left homeless. The settlement of the Fengu in the annexed territory had far-reaching consequences. This wandering nation claimed to be escaping oppression at the hands of the Gcaleka and, in return for the land they were given by the Cape, they became the Cape Colony's formidable allies. They swiftly acquired firearms and formed mounted commandos for the defense of their new land. In the following wars they fought alongside the Cape Colony as invaluable allies, not as subordinates, and won considerable renown and respect for their martial ability. The conflict was the catalyst for Piet Retief's manifesto and the Great Trek. In total 40 farmers (Boers) were killed and 416 farmhouses were burnt down. In addition 5,700 horses, 115,000 head of cattle and 162,000 sheep were plundered by Xhosa tribes people. In retaliation sixty thousand Xhosa cattle were taken or retaken by colonists. The British minister of colonies, Lord Glenelg, repudiated d'Urban's actions and accused the Boer retaliation against cattle raiders as being what instigating the conflict. As a result, the Boer community lost faith in the British justice system and often took the law into their own hands when cattle rustlers were caught. The territorial expansion and creation of "Queen Adelaide Province" was also condemned by London as being uneconomical and unjust. Queen Adelaide was disannexed in December 1836, the Cape's border was re-established at the Keiskamma river, and new treaties were made with the chiefs responsible for order beyond the Fish River. Sir Andries Stockenström, 1st Baronet, and veteran of several Xhosa wars. In the aftermath of the previous frontier war, the new Lieutenant-governor of the Eastern Province Andries Stockenström instituted a completely new border policy. Stockenström, who professed considerable respect for the Xhosa, developed a system of formal treaties to guard the border and return any stolen cattle from either side (cattle raiding was a regular grievance). Diplomatic agents were exchanged between the Cape Colony and the Xhosa Chiefs as reliable "ambassadors", and colonial expansion into Xhosa land was forbidden. Land annexed from the Xhosa in the previous war was also returned and the displaced Xhosa moved back into this land, assuaging overpopulation in the Xhosa territories. In the framework of this new system, the frontier settled and saw nearly a decade of peace. The Xhosa chiefs generally honoured Stockenström's treaty and returned any cattle that was raided from their side. On the Cape side, Stockenström, who saw the major problem as being the land management of the colonists, used his influence to reign in the frontier settlers and prevent any expansion onto Xhosa land. A level of trust also began to develop, and the Xhosa chiefs came to hold Stockenström in exceptionally high regard as a man who, although he had defeated the Xhosa armies on multiple occasions, nonetheless treated them as diplomatic equals. The treaty system began to unravel as the settlers gained a determined leader and spokesman in the form of Robert Godlonton, who led a large colonist movement to dismantle Stockenström's system and allow seizure of Xhosa lands. As one settler ominously declared of the Xhosa territory: "The appearance of the country is very fine, it will make excellent sheep farms." Godlonton also used his considerable influence in the religious institutions of the Cape to drive his opinions, declaring that: "the British race was selected by God himself to colonize Kaffraria". In the face of massive pressure and ruinous lawsuits, Stockenström was eventually dismissed and his treaty system was dismantled by the new British Governor, Maitland. The Fengu ("Fingoes"), known across southern Africa as skilled gunmen, were invaluable allies of the Cape Colony in its frontier wars. Known as the "War of the Axe" or the "Amatola War". On the colonial side, two main groups were involved: Columns of imperial British troops sent from London, and local mixed-race "Burgher forces" which were mainly Khoi, Fengu, English settler and Boer commandos, led by their Commander-in-Chief Andries Stockenstrom. Relations between the British Imperial troops and the local commandos broke down completely during the war. On the Xhosa side, the Ngqika (known to the Europeans as the "Gaika") were the chief tribe engaged in the war, assisted by portions of the Ndlambe, and the Thembu. The Xhosa forces were over ten times greater in number, and had by this time replaced their traditional weapons with modern firearms. It was their new use of guns that made the Xhosa considerably more effective in fighting the British. The war saw widespread use, by both sides, of scorched earth tactics. Sketch of the shoot-out as British Imperial Troops attempt to storm Sandile's position in the Amatola Mountains. Shoot-out between Xhosa and long, slow-moving British army column. The regular British forces suffered initial setbacks. A British column sent to confront the Ngqika chief, Mgolombane Sandile, was temporarily delayed at the Amatola Mountains and the attacking Xhosa were able to capture the centre of the three mile long wagon train which was not being defended, carrying away the British officer's supply of wine and other supplies. Large numbers of Xhosa then poured across the border as the outnumbered imperial troops fell back, abandoning their outposts. The only successful resistance was from the local Fengu, who heroically defended their villages from the far larger Xhosa forces. On 28 May, a force of 8,000 Xhosa attacked the last remaining British garrison, at Fort Peddie, but fell back after a long shootout with British and Fengu troops. The Xhosa army then marched on Grahamstown itself, but was held up when a sizeable army of Ndlambe Xhosa were defeated on 7 June 1846 by General Somerset on the Gwangu, a few miles from Fort Peddie. However the slow-moving British columns, like the Xhosa, were considerably hampered by drought and were becoming desperate. After much debate, they were forced to call in Stockenström and the local Burgher forces. Mobile mounted commandos were highly effective in the mountainous frontier terrain. The local Commandos were very much more effective in the rough and mountainous terrain, of which they had considerable local knowledge. After inflicting a string of defeats on the Ngqika, Stockenström took a small and select group of his mounted commandos across the Colony's border and rapidly pushed into the independent Xhosa lands beyond the frontier. They rode deep into the Transkei Xhosa heartland, directly towards the kraal of Sarhili ("Kreli"), the paramount chief of all the Xhosa. Due in part to the speed of their approach, they were barely engaged by Xhosa forces and rode directly into Sarhili's capital. Paramount Chief Sarhili and his generals agreed to meet Stockenström (with his commandants Groepe, Molteno and Brownlee), unarmed, on a nearby mountain ridge. The meeting was initially tense - the fathers of both Sarhili and Stockenström had been killed whilst unarmed. Both men were also veterans of several frontier wars against each other and, while they treated each other with extreme respect, Stockenström nonetheless made the extreme demand that Sarhili assume responsibility for any future Ngqika attacks. After protracted negotiations, Sarhili agreed to return any raided cattle & other property and to relinquish claims to the Ngqika land west of the Kei. He also promised to use his limited authority over the frontier Ngqika to restrain cross-border attacks. A treaty was signed and the commandos departed on good terms. Also leading his commando on this campaign was a young man named John Molteno, who in later life became the Cape's first Prime Minister. Significantly, his experience of what he believed to be the ineptitude and injustice of the British Empire's frontier policy later informed his government's decisions to oppose the British in the final frontier war. However, British Imperial General Peregrine Maitland rejected the treaty and sent an insulting letter back to the Xhosa paramount-chief, demanding greater acts of submission and servility. Furious, Stockenstrom and his local commandos resigned and departed from the war, leaving the British and the Xhosa - both starving and afflicted by fever - to a long, drawn-out war of attrition. The effects of the drought were worsened through the use, by both sides, of scorched earth tactics. Gradually, as the armies weakened, the conflict subsided into waves of petty and bloody recriminations. At one point, violence flared up again after Ngqika tribesmen supposedly stole four goats from the neighbouring Kat River Settlement. When the rains came, floods turned the surrounding lands into a quagmire. The violence slowly wound down as both sides weakened, immobile and fever-ridden. The war continued until Sandile was captured during negotiations and sent to Grahamstown. Although Sandile was soon released, the other chiefs gradually stopped fighting, and by the end of 1847 the Xhosa had been completely subdued after twenty-one months of fighting. In the last month of the war (December 1847) Sir Harry Smith reached Cape Town as governor of the colony, on the 23rd, at a meeting of the Xhosa chiefs, announced the annexation of the country between the Keiskamma and the Kei rivers to the British crown, thus reabsorbing the territory abandoned by order of Lord Glenelg. It was not, however, incorporated with the Cape Colony, but made a crown dependency under the name of British Kaffraria Colony, with King William's Town as capital. Large numbers of Xhosa were displaced across the Keiskamma by Governor Harry Smith, and these refugees supplemented the original inhabitants there, causing overpopulation and hardship. 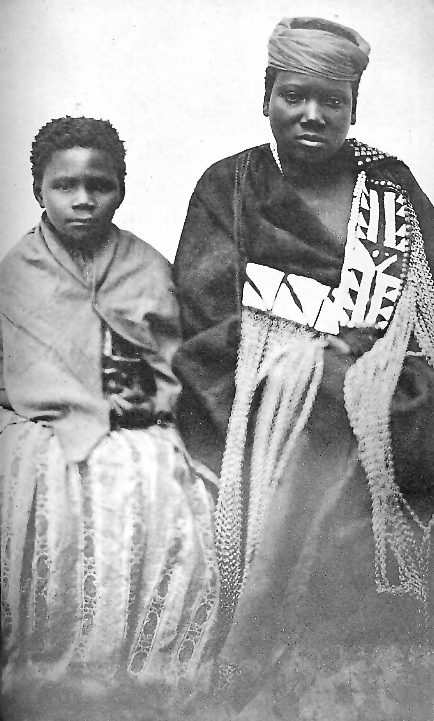 Those Xhosa who remained in the colony were moved to towns and encouraged to adopt European lifestyles. Harry Smith also attacked and annexed the independent Orange Free State, hanging the Boer resistance leaders, and in the process alienating the Burghers of the Cape Colony. To cover the mounting expenses he then imposed exorbitant taxes on the local people of the frontier and cut the Cape's standing forces to less than five thousand men. In June 1850 there followed an unusually cold winter, together with an extreme drought. It was at this time that Smith ordered the displacement of large numbers of Xhosa squatters from the Kat River region. The war became known as "Mlanjeni's War", after the prophet Mlanjeni who arose among the homeless Xhosa, and who predicted that the Xhosa would be unaffected by the colonists' bullets. Large numbers of Xhosa began leaving the colony's towns and mobilizing in the tribal areas. Believing that the chiefs were responsible for the unrest caused by Mlanjeni's preaching, Governor Sir Harry Smith travelled to meet with the prominent chiefs. When Sandile refused to attend a meeting outside Fort Cox, Governor Smith deposed him and declared him a fugitive. On 24 December, a British detachment of 650 men under Colonel Mackinnon was ambushed by Xhosa warriors in the Boomah Pass. The party was forced to retreat to Fort White, under heavy fire from the Xhosa, having sustained forty-two casualties. The very next day, during Christmas festivities in towns throughout the border region, apparently friendly Xhosa entered the towns to partake in the festivities. At a given signal though, they fell upon the settlers who had invited them into their homes and killed them. With this attack, the bulk of the Ngqika joined the war. Chief Maqoma. Xhosa military leader in several of the frontier wars. While the Governor was still at Fort Cox, the Xhosa forces advanced on the colony, isolating him there. The Xhosa burned British military villages along the frontier and captured the post at Line Drift. Meanwhile, the Khoi of the Blinkwater River Valley and Kat River Settlement revolted, under the leadership of a half-Khoi, half-Xhosa chief Hermanus Matroos, and managed to capture Fort Armstrong. Large numbers of the "Kaffir Police" — a paramilitary police force the British had established to combat cattle theft — deserted their posts and joined Xhosa war parties. For a while, it appeared that all of the Xhosa and Khoi people of the eastern Cape were taking up arms against the British. Harry Smith finally fought his way out of Fort Cox with the help of the local Cape Mounted Riflemen, but found that he had alienated most of his local allies. His policies had made enemies of the Burghers and Boer Commandos, the Fengu, and the Khoi, who formed much of the Cape's local defences. Even some of the Cape Mounted Riflemen refused to fight. After these initial successes, however, the Xhosa experienced a series of setbacks. Xhosa forces were repulsed in separate attacks on Fort White and Fort Hare. Similarly, on 7 January, Hermanus and his supporters launched an offensive on the town of Fort Beaufort, which was defended by a small detachment of troops and local volunteers. The attack failed however, and Hermanus was killed. The Cape Government also eventually agreed to levy a force of local gunmen (predominantly Khoi) to hold the frontier, allowing Smith to free some imperial troops for offensive action. By the end of January, the British were beginning to receive reinforcements from Cape Town and a force under Colonel Mackinnon was able to successfully drive north from King William's Town to resupply the beleaguered garrisons at Fort White, Fort Cox and Fort Hare. With fresh men and supplies, the British expelled the remainder of Hermanus' rebel forces (now under the command of Willem Uithaalder) from Fort Armstrong and drove them west toward the Amatola Mountains. Over the coming months, increasing numbers of Imperial troops arrived, reinforcing the heavily outnumbered British and allowing Smith to lead sweeps across the frontier country. In 1852, HMS Birkenhead was wrecked at Gansbaai while bringing reinforcements to the war at the request of Sir Harry Smith. As the ship sank, the men (mostly new recruits) stood silently in rank, while the women and children were loaded into the lifeboats. They remained in rank as the ship slipped under and over 300 died. 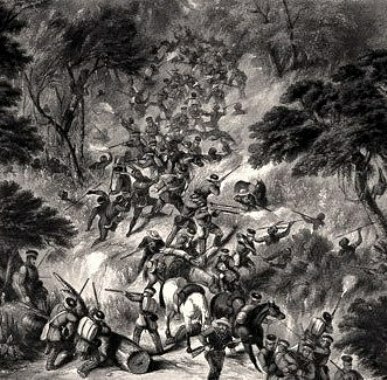 A British column (74th Highlanders) under ambush in the Waterkloof forests. Insurgents led by Maqoma established themselves in the forested Waterkloof. From this base they managed to plunder surrounding farms and torch the homesteads. Maqoma's stronghold was situated on Mount Misery, a natural fortress on a narrow neck wedged between the Waterkloof and Harry's Kloof. The Waterkloof conflicts lasted two years. Maqoma also led an attack on Fort Fordyce and inflicted heavy losses on the forces of Sir Harry Smith. In February 1852, the British Government decided that Sir Harry Smith's inept rule had been responsible for much of the violence, and ordered him replaced by George Cathcart, who took charge in March. For the last 6 months, Cathcart ordered scourings of the countryside for rebels. In February 1853, Sandile and the other chiefs surrendered. The 8th frontier war was the most bitter and brutal in the series of Xhosa wars. It lasted over two years and ended in the complete subjugation of the Ciskei Xhosa. The great Cattle-killing was a millennialist movement which began among the Xhosa in 1856, and led them to destroy their own means of subsistence in the belief that it would bring about salvation by supernatural spirits. In April 1856 the sixteen-year-old Xhosa prophetess Nongqawuse began to declare that she had received a message from the Xhosa people's ancestors, promising deliverance from their hardships. She preached that the ancestors would return from the afterlife in huge numbers, drive all Europeans into the sea, and give the Xhosa bounteous gifts of horses, sheep, goats, dogs, fowls, and all manner of clothing and food in great amounts. They would also restore the elderly to youth and would usher in a utopian era of prosperity. However, she declared that the dead ancestors would only enact this on condition that the Xhosa first destroyed all their means of subsistence. They needed to kill all of their cattle and burn all of their crops. At first no one believed Nongquwuse's prophecy and the Xhosa nation ignored her prophecy. But when Chief Sarhili began to kill his cattle, more and more people began to believe that Nongquwuse was an igqirha (diviner) who could communicate with the ancestors. They too killed their cattle and destroyed their crops. The cult grew and built up momentum, sweeping across the eastern Cape. The government authorities of the Cape Colony feared chaos, famine and economic collapse, so they desperately appealed in vain to the Xhosa to ignore the prophecies. They even arrested Nongqawuse herself for disturbance caused. The return of the ancestors was predicted to occur on 18 February 1857. The Xhosa, especially chief Sarhili of the Gcalekas, heeded the demand to destroy food sources and clothes and enforced it on others throughout the country. When the day came, the Xhosa nation waited en masse for the momentous events to occur, only to be bitterly disappointed. With no means of subsistence, famine set in. The cattle killings continued into 1858, leading to the starvation of thousands. Disease was also spread from the cattle killings. This gave the settlers power over the remainder of the Xhosa nation who were often forced to turn to the colonists for food, blankets and other relief. Map of southern Africa on the eve of the final frontier war (1876). The Ninth and last Frontier War, known as the "Fengu-Gcaleka War" (or "Ngcayechibi's War" after the name of the headman at whose feast the initial bar fight occurred) involved several key competing powers: the Cape Colony Government and its Fengu allies, the British Empire, and the Xhosa armies (Gcaleka and Ngqika). The Cape Colony had achieved partial independence from Britain with "Responsible Government" and had rapidly become prosperous. Its recent introduction of multi-racial franchise and respect for indigenous land tenure had also gone some way to easing frontier tensions, and the border had been at peace for a quarter of a century. Its government had little interest in territorial expansion, and policed its frontier lightly using small, highly mobile, mounted commandos. These mixed-race commandos were recruited locally from Boer, Fengu, Khoi and settler frontier people. The British Government wanted to expand its control in southern Africa by uniting all the states of the region into a Confederation under the overall rule of the British Empire. This Confederation plan obviously required that the remaining independent Black States be conquered and incorporated, and a frontier war was seen as an ideal opportunity for such a conquest. The Confederation Plan was resisted locally, by Cape Colony and Xhosa alike. The Black African population of the frontier had developed very unevenly. While the Fengu had rapidly adapted to benefit and prosper from the changes coming to southern Africa by taking to urban trade, the traditional Gcaleka Xhosa had suffered greatly from the effects of war, alcohol and Nongqawuse's cattle killing, and bitterly resented the Fengu's perceived material success. While some Gcaleka lived within the Cape's borders, most resided in the independent Gcalekaland State to the east. From the mid-1870s, a series of devastating droughts across the Transkei began to place severe strain on the relative peace which had prevailed for the previous few decades. The droughts had begun as early as 1875 in Gcalekaland and had spread to other parts of the Transkei and Basutoland, and even into the Cape Colony controlled Ciskei. Their severity increased up until 1877 and ethnic tensions began to break out, particularly between the Mfengu, the Thembu and the Gcaleka Xhosa. In summary, the conflict began with inter-tribal strife between the Fengu and the Gcaleka, it then developed into a war when the British entered on the side of the Fengu, then it led to a power struggle between the settler forces as the Cape Colony tried to contain the British Imperial troops, and it ended with a long guerrilla war. Chief Sarhili (centre seated) was under pressure from belligerent factions of his own government. In September 1877, Governor Henry Bartle Frere, having just had his Confederation Plan rejected by the Cape Colony government, moved to the Eastern Cape frontier and contacted radical settler groups who desired British intervention and cheap Xhosa labour to work their farms. Rumours of an impending Xhosa invasion were spread in a cultivated atmosphere of fear. The conflict started after the harassing of the Fengu by groups of Gcaleka. A bar fight between a Fengu and a Gcaleka at a wedding party, in September 1877, rapidly escalated into a bout of inter-tribal violence between the Fengu and Gcaleka. Later in the same day, a group of Gcaleka attacked a Cape Colony police outpost which was manned predominantly by policemen of Fengu ethnicity. The Cape Colony treated this tribal violence as simply a Cape internal matter for local police management. However Frere used it as a pretext for British conquest of the independent neighbouring state of Gcalekaland. He summoned Sarhili, the paramount-chief of Gcalekaland to report to him, and when Sarhili declined the invitation (understandably fearing arrest and coercion), Frere wrote to him to declare him deposed and at war. Cape Colony militia - Fengu and Boer - on the frontier, 1878. Cape Prime Minister John Molteno, a supporter of local solutions to the conflict. Chief Sarhili, now under intense pressure from belligerent factions within his own government, mobilised his armies and moved them to the frontier. The Cape Government continued to insist that this was a local tribal conflict for internal policing, and not an international war for imperial armies. In high-pressure negotiations Cape Prime Minister John Charles Molteno extracted a promise from Britain that imperial troops would stay put and on no account cross the frontier. The war began on the 29th September, when 8000 Gcaleka soldiers attacked a Cape police outpost at Ibeka near the frontier. After a fierce shoot-out the frontier police dispersed the Gcaleka forces. However soon several other outposts and stations all along the frontier were coming under attack. The Cape Government now had to use all of the diplomatic leverage that it had to keep the British imperial forces contained. Molteno now deployed the Cape's local paramilitaries (mounted commandos of mainly Boer, Thembu and Fengu origin), under the leadership of Chief Magistrate Charles Griffith and Commander Veldman Bikitsha. The commandos swiftly engaged and defeated an army of Gcaleka gunmen. They then crossed the frontier and pushed into Gcalekaland. Dividing into three lightly-equipped, fast-moving columns, the commandos devastated the Gcaleka armies which dispersed and fled eastwards. The Cape commandos tracked the fleeing remnants right through Gcalekaland, stopping only when they reached neutral Bomvanaland on the far side. The war was over in 3 weeks. Sarhili had also recently applied for peace. With no interest in conquest and the violence subsiding, the Cape Government recalled the commandos, which returned home and disbanded. British Governor Bartle Frere sought to annex Gcalekaland to the British Empire. The second stage of the war began when Frere ordered the disarmament of all Black peoples of the Cape. There was confusion and uproar from the Cape's many black soldiers and a furious protest from the Cape Government. Militia deserted and protests erupted, to which Cunynghame panicked and overreacted by unilaterally deploying the imperial troops to thinly encircle the whole of British Kaffraria. Faced with growing discontent, the Cape demanded that the British Government fire Cunynghame, abandon its racial disarmament policy, and allow the Cape to deploy its (predominantly black) paramilitaries to establish order. However Frere refused and brought in Imperial troops to enforce the disarmament, and then to invade Gcalekaland once again. This time to annex it and occupy it for the purpose of white settlement. The great Chief of the Ngqika, Mgolombane Sandile, veteran of several frontier wars. The British initially attempted to repeat the successful strategy of the Cape's previous campaign. After similarly dividing into three columns, the foreign troops soon became disorientated and exhausted. They were unable to engage or even to find the dispersed Gcaleka who were swiftly moving and regrouping. As they scoured Gcalekaland, the regrouped Gcaleka army easily slipped past them and crossed the border into the Cape Colony. Here they were joined by Sandile who led his Ngqika nation into rebellion. The combined Xhosa armies laid waste to the frontier region. Fengu towns and other frontier settlements were sacked, supply lines were cut and outposts were evacuated as the British fell back. Up until now, Molteno had been heavily engaged in a high-level diplomatic battle with Britain to preserve the Cape Colony's constitutional independence. However, with the Cape's frontier collapsing in chaos, he now made for the frontier in person, where he confronted the British Governor with a heavy condemnation for bad intentions and incompetence. He demanded the free command of the Cape's indigenous forces to operate and contain the violence, making it clear that he was content to sacrifice his job rather than endorse further British interference. Frere's next move was to appeal to the authority of the British Colonial Office to formally dissolve the elected Cape government, which was now stubbornly standing in the way of the British Empire, and assume direct imperial control over the entire country. Increasing numbers of Xhosa armies now poured across the frontier. Towns and farms throughout the region were now burning, and the remaining frontier forts filled with refugees fleeing the invasion. British troops remained thin on the ground as much of them still remained idle in Gcalekaland, where they had been sent for the purpose of occupation. However Frere was lucky in that he still had access to the frontier militia and Fengu regiments of the Cape Government he had just overthrown. These forces, under their legendary commander Veldman Bikitsha, managed to engage and finally defeat the Gcaleka on 13 January (near Nyumaxa). The imperial troops assisted, but were tired, short of rations and unable to follow up on the victory. A subsequent attack was barely repelled on 7 February (Battle of Kentani or "Centane") with considerable more help from the Fengu and the local Frontier Light Horse militia. The exhausted Gcaleka finally pulled out from the conflict, but Sandile's rebel Ngqika armies fought on. The rebels eluded the Imperial troops once again and moved into the Amatola mountain range, beginning a final stage of guerrilla warfare. Cunynghame was meanwhile removed from his authority by London, and his replacement, Lietenant General Thesiger took over command. The Amatola Mountains, setting for the final stage of the war. The Amatola Range had served as a mountain stronghold for Xhosa insurgents many times before, with its vast, dark, creeper-entwined forests. 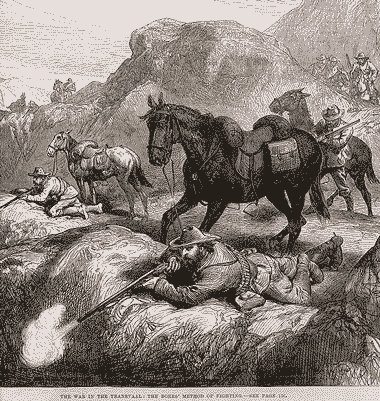 In March 1878, British troops entered the mountain ranges to pursue Sandile's rebels but were hopelessly outmaneuvered. They were eluded, led astray and ambushed time and time again, as the rebels easily slipped past their slow-moving troop columns. Flag signalling, path systems and other techniques were tried, but to no effect. The British were very inexperienced with the environment and plagued by mismanagement, stretched supply lines, sickness and other hardships. Meanwhile the local Cape commandos (Boer and Fengu) held back, reluctant to get involved. Finally the British adopted the strategy which the locals had been recommending from the beginning. This involved dividing the vast territory into 11 military provinces and stationing a mounted garrison in each. If a rebel regiment was encountered it was chased, until it entered the next military province, where the next garrison (fresh and close to supplies) would take over the pursuit. The valley exits from the range were then fortified. Under this uninterrupted pressure the rebel forces quickly splintered and began to surrender, Sandile himself fled down into the valley of the Great Fish River where he was intercepted by a Fengu commando. In the final shoot out he was accidentally killed by a stray bullet. The surviving rebels were granted an amnesty. The war had lasted a year and was a final blow for the last independent Xhosa state, Gcalekaland, which was now administered as a British territory. Initially, however, the conflict had shown no signs of being anything more than a petty inter-tribal quarrel. Neither the Cape Government nor the Xhosa had desired a war. Had Bartle Frere not moved to the frontier and drawn the conflict into Britain's greater Confederation scheme, it would almost definitely have remained as only a brief patch of localised ethnic strife. Once the broader conflict had been ignited, however, the result was the annexation of all remaining Xhosa territory under British control. The war also led Britain to overthrow the Cape Colony's elected government. ↑ "I am indebted to Dr C. C. Saunders for this term" (Peires 1979, p. 51). ↑ Peires 1976, p. 1. ↑ Thompson 2001, p. 55. ↑ "An Unstable Frontier The Role Of Soldiers And Military Hintsa’s War". New History. http://newhistory.co.za/part-1-chapter-3-an-unstable-frontier-the-role-of-soldiers-and-military-hintsa-s-war/. Retrieved 2012-11-18. ↑ "Conquest of the Eastern Cape 1779-1878 | South African History Online". Sahistory.org.za. http://www.sahistory.org.za/topic/conquest-eastern-cape-1779-1878. Retrieved 2012-11-18. ↑ Status and Respectability in the Cape Colony, 1750-1870: A Tragedy of Manners - Robert Ross - Google Books. Books.google.co.za. http://books.google.co.za/books?id=fZxE61D_3dQC&pg=PA63&lpg=PA63&dq=godlonton+cape+parliament&source=bl&ots=rjMopItkb0&sig=FKcxE8Unkv_GgiwhOQf2nR_FecI&hl=en&sa=X&ei=5OlrULbNLJCShgeYtoBY&ved=0CEYQ6AEwCA#v=snippet&q=Molteno&f=false. Retrieved 2012-11-18. ↑ 9.0 9.1 "A Quest For A Treaty Stockenstrom, Godlonton And Bowker". New History. http://newhistory.co.za/part-1-chapter-3-a-quest-for-a-treaty-stockenstrom-godlonton-and-bowker/. Retrieved 2012-11-18. ↑ 10.0 10.1 10.2 Cana 1911, p. 239. ↑ SAH staff, 1800s time-line. ↑ C.W. Hutton (ed. ): The autobiography of the late Sir Andries Stockenström, bart., sometime lieutenant-governor of the eastern province of the Cape of Good Hope. C.T., 1887. ↑ G. M. Theal: Belangrijke historische dokumenten van Zuid-Afrika. Records of the Cape Colony, vol. 7, 8 & 10. C.T. ↑ Abbink & Peires 1989, p. [page needed]. ↑ Abbink, Bruijn & Walraven 2008, p. [page needed]. ↑ J. Fage, R. Oliver: The Cambridge History of Africa, Volume 6 (1870-1905). Cambridge University Press, 1985. p.387. ↑ C. Bundy: The Rise and Fall of South African Peasantry. University of California Press, 1979. p.83. ↑ V.C. Malherbe: What They Said. 1795-1910 History Documents. Cape Town: Maskew Miller. 1971. ↑ P.A. Molteno: The life and times of Sir John Charles Molteno, K. C. M. G., First Premier of Cape Colony, Comprising a History of Representative Institutions and Responsible Government at the Cape, 2 (Confederation), London: Smith, Elder & Co. 1910. ↑ Cape Times: Correspondence, Memoranda and Minutes connected with the Dismissal of the Late Ministry. Cape Town: Houses of Parliament Library. 1878. ↑ P. Lewsen: John X. Merriman: paradoxical South African statesman. Johannesburg: Ad. Donker, 1982. ↑ Neil Parsons. "Investigating the Origins of The Rose of Rhodesia, Part II: Harold Shaw Film Productions Ltd". Latrobe.edu.au. http://www.latrobe.edu.au/screeningthepast/25/rose-of-rhodesia/parsons-2.html. Retrieved 2012-11-18. ↑ J. Benyon: Proconsul and Paramountcy in South Africa. Pietermaritzburg: University of Natal Press. 1980. ↑ P. Lewsen: The First Crisis of Responsible Government in the Cape Colony. Archives Yearbook for South African History. 1942. ↑ J. Ayliff: History of the Abambos, Generally Known as Fingos. Cape Town: Struik. 1912. ↑ P. Gon: The Last Frontier War. The South African Military Society, Military History Journal Vol 5 No 6, 1982. ↑ "The Last Frontier War - South African Military History Society - Journal". Samilitaryhistory.org. 2005-10-02. http://samilitaryhistory.org/vol056pg.html. Retrieved 2012-11-18. ↑ N. Mostert: Frontiers: The Epic of South Africa’s Creation and the Tragedy of the Xhosa People. New York: Knopf. 1992. ↑ Illustrated History of South Africa. The Reader's Digest Association South Africa (Pty) Ltd, 1992. ISBN 0-947008-90-X. p.182, "Confederation from the Barrel of a Gun". ↑ RD staff 1996, Xhosa Wars. Peires, J (1976). A History of the Xhosa c. 1700-1835. Rhodes University. Abbink, J; Peires, Jeffrey (1989). The Dead Will Arise: Nongqawuse and the Great Xhosa Cattle-Killing. LULE. http://books.google.com/books?id=Xrey5fkzMkwC&source=gbs_navlinks_s. Abbink, J; Bruijn, Mirjam de; Walraven, Klaas van (2008). Rethinking Resistance: Revolt and Violence in African History. LULE. http://books.google.com/books?hl=en&id=DJ54bFqJtV8C&dq. Peires, J. B. (1979). "Nxele, Ntsikana and the origins of the Xhosa religious reaction". pp. 51–61. http://eprints.ru.ac.za/1316/1/Ntsikana.pdf. RD staff (1996). "Xhosa Wars". Reader's Digest Family Encyclopedia of World History. The Reader's Digest Association. SAH staff. "1800s time-line". South African History Online. http://www.sahistory.org.za/article/1800s. Retrieved March 2012. SAH staff (12 May 1836). "Fingo leaders gather at Peddie". South African History Online. http://www.sahistory.org.za/pages/chronology/thisday/1836-05-14.html. Retrieved March 2012. SAH staff (26 January 2012). "Conquest of the Eastern Cape 1779-1878". South African History Online. http://www.sahistory.org.za/topic/conquest-eastern-cape-1779-1878. Retrieved March 2012. Thompson, Leonard Monteath (2001). A history of South Africa (3, illustrated ed.). Yale University Press. p. 55. ISBN 978-0-300-08776-5.